Taron Egerton Talks Sing, Kingsman 2, Star Wars and More! The star of recent hits like Kingsman: The Secret Service and Eddie the Eagle, star Taron Egerton is now proving his impressive singing skills with Universal Pictures and Illumination Entertainment‘s appropriately-titled Sing, opening December 21. 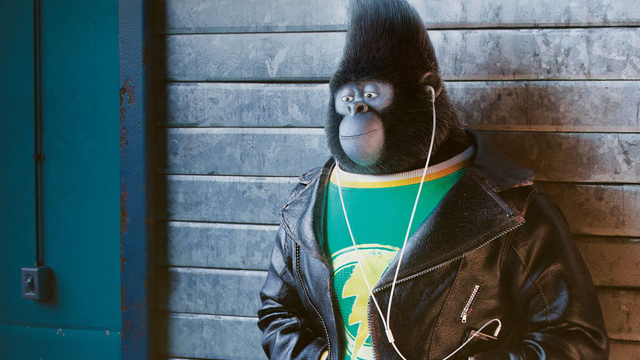 Egerton joins an ensemble voice cast for writer and director Garth Jennings‘ animated adventure that also includes Academy Award winners Matthew McConaughey and Reese Witherspoon alongside Seth MacFarlane, Scarlett Johansson, John C. Reilly and Tori Kelly. 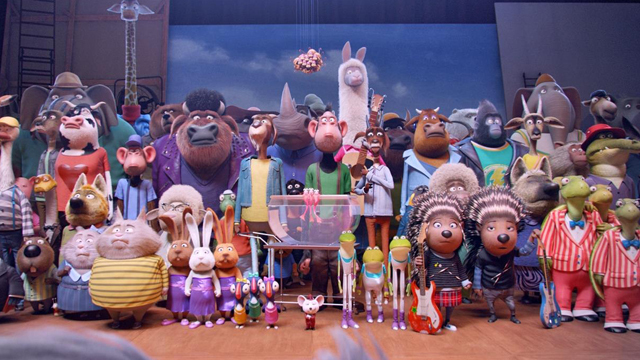 RELATED: Watch the New Sing Trailer! CS: Where did “Sing” begin for you? Taron Egerton: It started in kind of the usual way, really. 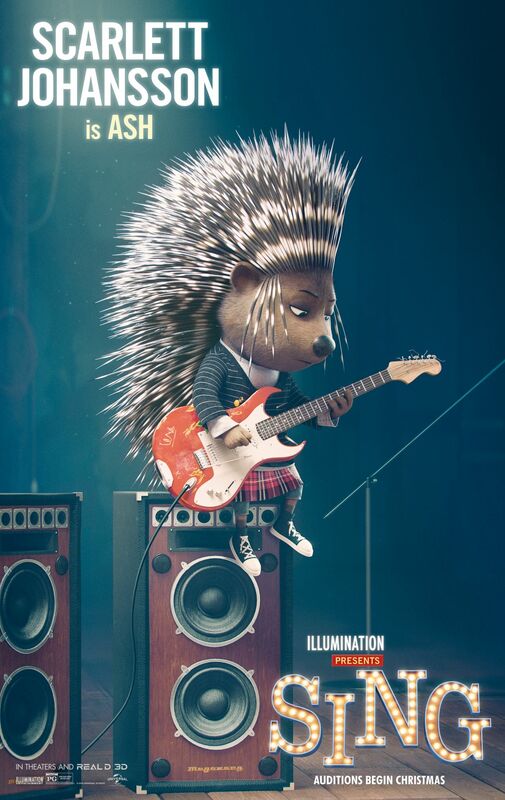 My agent got in touch and said, “We’ve got this thing from Illumination.” I said, “Oh? They’re great!” “Yeah! 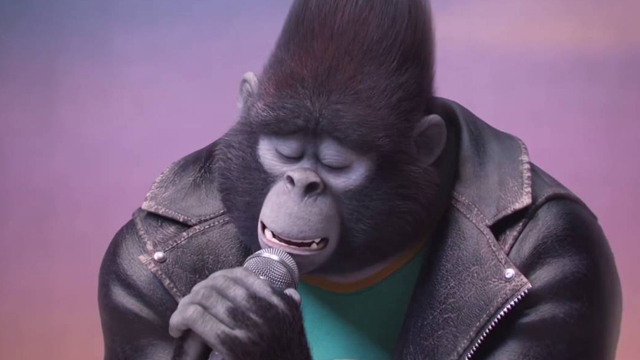 They’re doing a movie about singing animals.” I said, “Where do I sign?” They said, “You can’t sign. You have to go and audition.” So I did! I did a Livelink audition with Garth [Jennings] and I sang a bit of Otis Redding. It all came together and I loved the experience. CS: What was your first conversation with Garth Jennings like? I know him primarily from “The Hitchhiker’s Guide to the Galaxy” and “Son of Rambow,” but this is obviously a very different sort of film. Taron Egerton: It must have been going on ten years from “Hitchhiker’s Guide to the Galaxy.” This is a very different path for him. A different avenue. But he’s totally suited to it. He’s very much a family man and a dad. I think he has a real instinct for this kind of humor and for the color and wonder that’s necessary for a film like this. He has a wonderful, positive energy. CS: It feels like the whole film is really a love letter to performing. Taron Egerton: Yeah, it’s about not being inhibited and not being ruled by fear. The characters in this movie are, I think, extremely brave characters. The kind of characters that you want kids to be watching on the big screen. CS: And having different animals representing different types of music seems like an interesting approach. Taron Egerton: They’re all to scale as well. I loved that. There’s certain shots where you can barely see Michael Mouse because me and Meena are so massive. I loved that about it. It gives it a real reality and life. CS: Did the film change a lot from when you signed on? Taron Egerton: Well, these things are always in a sort of flux. It’s not like you get a script. We certainly didn’t, anyway. The thing kind of adapts and grows organically with your performance and with what the animators are doing. That’s the kind of joy of it, really. It blossoms with a flower. CS: Was singing on film something that you actively pursued? Taron Egerton: It’s something I’ve always loved doing. It’s something that I’ve done since I was a little boy, but not in any kind of official capacity. Just for fun and around the house. I did a musical when I was 17, an amateur show, and I loved it. In drama school, I entered a singing competition, which I ended up winning, which was great. Then this came around. I’m desperate to do more of it, really. I’d like to do some live stuff. I went and saw Seth MacFarlane do a jazz show last night. I was kind of having a bit of stage envy. CS: I know voice recording is generally done with one actor at a time. What was it like to finally meet your co-stars? It’s a pretty diverse ensemble. Taron Egerton: It’s surreal. We all first met at TIFF. It’s odd because you’re all involved in this thing and you’re so invested it, but you don’t work together. It’s weird, but there’s also a kind of magic to that. It’s like a nice surprise. You all record from different parts of the planet and then you all come together to convince people to go see it. It has been really fun. I have truly enjoyed it. CS: Has your life changed much now that projects like “Kingsman” have become such big hits? Taron Egerton: It’s weird! It’s all still quite chill. I’m not getting recognized in the streets and papped and bothered. That’s the sort of level I like. It’s great having more control over the kind of projects that I do. The great thing about being in something like “Kingsman,” which was really a surprise hit, is that stuff like this comes along. It has done wonders for me. CS: Is it easier to pick the kind of projects you like? Taron Egerton: Yeah. It all feels like it’s done so far in advance that I forget and say, “Oh, right! I picked that one point.” But I still audition for things as well. I’m not Leonardo DiCaprio. But it is great to know that you can really do some things that you want to do and maybe take a pass on things that you might have had to do at one point. It’s nice now because I don’t have to do anything for the wrong reasons. If I’m doing something, it’s because I generally want to do it and because I think it genuinely has the potential to be good. This was just an obvious thing from the word go. It’s just marvelous. I’ve seen it like five times and I’m still enjoying it. CS: Does that mean that more musicals are likely in your future? Taron Egerton: I’d like to do a live-action musical. That would be the dream. It feels like, with “La La Land” and what have you, there’s a bit of resurgence in that kind of filmmaking. I’d love to do a live-action musical, but it’s really a matter of someone coming along and saying, “Here’s a live-action musical. Do you want to be in it?” It’s something I’ve always loved doing. It’s something that I’ve done since I was a little boy, but not in any kind of official capacity. Just for fun and around the house. I did a musical when I was 17, an amateur show, and I loved it. In drama school, I entered a singing competition, which I ended up winning, which was great. Then this came around. I’m desperate to do more of it, really. I’d like to do some live stuff. I went and saw Seth MacFarlane do a jazz show last night. I was kind of having a bit of stage envy. CS: Are you all done now with filming on “Kingsman 2”? Taron Egerton: I’ve got three more days, I think, and then we’re done. It has been tough. It’s really physically tough. The way Matthew shoots, there’s so many different sizes and the camerawork is so dynamic. It takes time. It takes real time to shoot. CS: It seems like part of the reason the first “Kingsman” was such a big hit was because it was such a suprising, sometimes shocking, action movie. Is it hard to top what you did with the first film? Taron Egerton: I think he’s done it. Matthew really knows that. He knows that people want to see a lot of the same stuff, but he also knows that he needs to top it and make it bigger. Everything he has, it’s pretty mental. The script is really good and the cast that has come aboard is just mental. You may end up seeing a certain spectacled gentleman make a reappearance as well. Maybe even a couple. I’m really proud of it. I think we’re going to end up doing a few of them. It’s fun. It’s really fun. I’m about to go and do “Robin Hood,” which is great fun and the latest in a very long line of Robin Hoods. But Eggsy is my guy. CS: What is it like racking up properties that could become franchises? “Kingsman,” “Robin Hood” and even “Sing” could easily have sequels. Taron Egerton: It’s really exciting because, as an actor, you sort of never escape the feeling that the work is going to dry up. I’m desperately scared that it’s all going to be taken away from me. Franchises mean that you’re tied in. That’s a lovely feeling of comfort to the whole thing. From a business perspective, it really keeps you current and lets you go and do other smaller, more pedestrian things. CS: Do you have a big fandom yourself? We’re seeing the development of so many expanded universes. Is there something you’d particularly like to be a part of. Taron Egerton: Very much so. I’d love to do something in “Star Wars.” I really would. I’d love to do something at Marvel, but I don’t think I would do a seven-movie deal. That’s a bit too much for me. Those cinematic universes are so interesting now and so rich that I’d be delighted to be a part of anything. But I love “Star Wars.” I’ve got a three-foot stormtrooper in my living room. I’ve got Darth Vader’s head. I’ve got quite a few droids and things. CS: So is something “Star Wars” the big dream project? Taron Egerton: I really would like to do a live-action musical. It’ll be four years in January since I’ve been on stage. That’s too long for me. I don’t want to forget how to do it. So I’d love to do a play. I don’t know if that’s something I might end up doing in New York or London, but I definitely want to find the time in the next year to 18 months.